We’ve all been hurt by the words of others. Often—perhaps more often than we realize—what was said was simply spoken thoughtlessly or carelessly. But sometimes it wasn’t; those words were meant to sting—and they did. Either way, when others criticize us or say something hurtful or insensitive, our first reaction should be to ask ourselves if there is any truth in what they say. If so, we need to be honest with ourselves, and ask God to help us correct it. But even if those words were spoken maliciously, we need to turn our hurts over the God and ask Him to help us respond with forgiveness and grace. In addition, if we’re honest we have to admit that we sometimes hurt others by our words. Don’t excuse it or ignore it, but admit it and seek forgiveness—both from God and from the person we’ve hurt. Then make the Psalmist’s prayer yours: “Set a guard over my mouth, O Lord; keep watch over the door of my lips” (Psalms 141:3). Add Faith & Fun to Your Family! Parents look in a lot of different places for guidance in how to influence their kids for Christ – church, school, or close relatives. These can all be helpful, but there's a better place to begin…you. 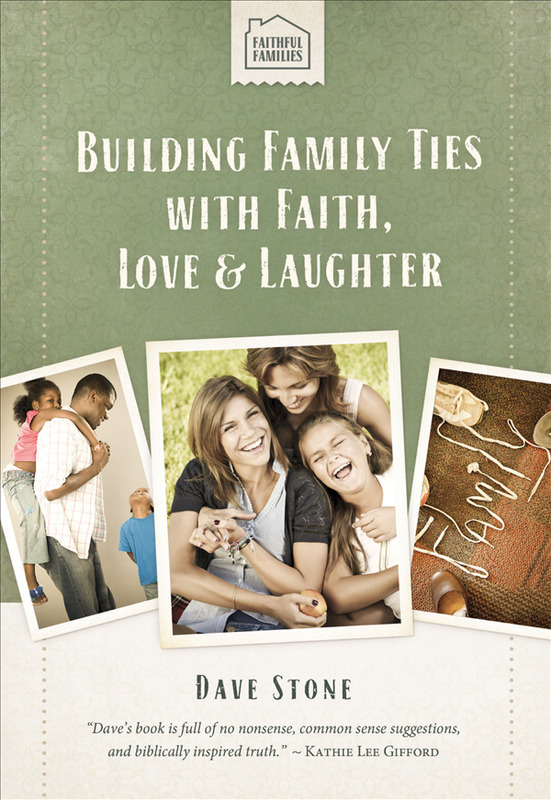 Raising Your Kids to Love the Lord and Building Family Ties with Faith, Love, & Laughter share practical tips from Dave's experience as a father of three and pastor to add faith and fun to the heart of your family.